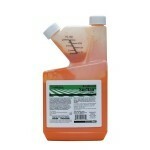 PRODUCT DESCRIPTION: Pre-Emergent herbicide used to prevent weed seeds from growing. Can be used with a weed killer but is best if used by itself before weeds get established. Surflan is a true Pre Emerge. This means it will do nothing to established plants. Instead, Surflan works on plant seeds. By preventing the seeds from growing, Surflan addresses the weed problem before it starts. Excellent material to use in the fall and winter to stop weeds the following spring. WHERE TO USE IT: Just about anywhere. Common sites include lawns, flower beds, ground cover, driveways, dirt roads, pine islands and just about anywhere plant growth is not wanted. However, seeds won't be able to grow where this material is applied so be sure not to apply it where you intend on planting seeds. RATE OF APPLICATION: 1.5 to 3.0 oz per gallon of water for every 1000 sq/ft of turf you want to treat. It will take 1.5 – 3 quarts of Surflan to treat an acre. Applications will vary based on the rate used during the treatment. For long growing warm regions, a stronger rate will provide a longer window of protection and should be considered if this longer protection is needed. In colder climates, the lower rate is usually adequate for annual growth. 1.5 oz per gallon per 1,000 sq/ft will prevent weed growth for 2-4 months. 2.2 oz per gallon per 1,000 sq/ft will prevent weed growth for 3-6 months. 3.0 oz per gallon per 1,000 sq/ft will prevent weed growth for 4-8 months.